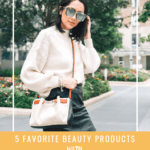 I’VE ASKED SOME FELLOW LADIES IN THE BEAUTY INDUSTRY AS WELL AS FRIENDS AND FAMILY TO SHARE THEIR 5 FAVORITE BEAUTY PRODUCTS. SOME PEOPLE ARE “BEAUTY OBSESSED” WHILE SOME ARE JUST TRYING TO GET BY WHEN IT COMES TO BEAUTY. I’VE GOT A REALLY DIVERSE GROUP OF WOMEN (OF ALL AGES) WHO ARE PARTICIPATING AND I’M SO EXCITED TO SHARE THEIR RESPONSES WITH YOU GUYS! WE’LL BE TALKING ALL ABOUT HIGH-END AND DRUGSTORE MAKEUP, HAIR PRODUCTS, SKINCARE AND WHO KNOWS WHAT ELSE. IT WILL BE EVERYTHING BEAUTY! 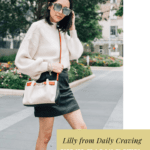 Today’s Five Favorite Products post is from Lilly, who runs the Houston Style Blog, Daily Craving! Guys, not only is she one of the most stylish women that I know (seriously, her style is amazing) but she’s also such a down to earth, friendly and supportive woman. 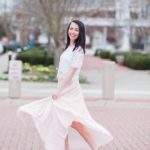 She’s one of the sweetest women I have met and she’s a great source of inspiration for other mother’s out there as well as bloggers. She’s the real deal, y’all! 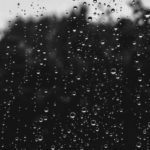 Do you have a blog or a website you’d like me to share? Elemis Superfood Facial Wash. This pre-biotic gel cleanser has been my holy grail for the past 6 or so months. It washes everything off, including makeup. Leaves my skin extra hydrated and plump when combined with the Elemis Superfood Night Cream. I’ve also noticed it has reduced my acne during that time of the month and has evened out my tone. John Frieda Frizz Ease Moisture Barrier Firm Hold Spray. I love this product so much. It 100% shields my hair from the humidity + although it is a firm hold, it doesn’t give me that hard crunchy hair. Plus doesn’t leave any residue behind. I feel like it also works as a dry shampoo because it soaks up all my oil on the roots. No.7 Beautiful Skin Oil Free Makeup Remover. I have gone through three bottles of this stuff. It’s super gentle and removed even waterproof makeup! Plus since it’s oil free, it’s works great with my lash extensions. Plus it’s affordable and a little goes a long way. Pixi by Petra Matte Last Liquid Lipsticks. I love the formula on these. 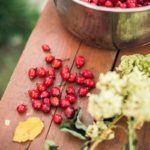 They are infused with oils which helps keep the lips moisturized while wearing it. Never cracks or creases, it’s affordable and they have the prettiest colors!! Estée Lauder Double Wear Foundation. My holy grail of all foundations. I love that it is a buildable coverage foundation. It covers every little imperfection and stays put literally all day. Even through heat and sweating. Thanks to Lilly for participating! I’m a HUGE lover of the Estée Lauder Double Wear Foundation and the Pixi by Petra Matte Last Liquid Lipsticks, but you better believe I’ll be checking out the other products that I haven’t tried yet! 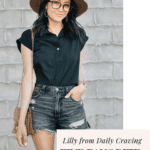 Next week, I’ve got another post coming your way with yet another woman who I absolutely adore! I hope that y’all are loving this series and learning about the women who continue to inspire me! I think it’s so much fun not only introducing these women to you, but also seeing what products they include in their routines! Would you like to be a part of this series? If so, feel free to email me at christine@simplystine.com and put TOP FIVE in the Subject line. Thanks!